Sitting in a dark office space not only can be discouraging, but it can also be bad for your health. Incorporating natural light in your commercial building can help to motivate employees and increase productivity. At Kirby Electric, we can help you create an electric system that benefits your building’s structure and takes advantage of natural light. Read on to find out more about different natural light solutions, and how Kirby Electric can help you. Studies have shown that there are many health benefits to having natural light in your commercial building. Not only does it appear to improve productivity of employees, it can help with your sleeping patterns too. CNN discovered that those with more exposure to natural light in their buildings throughout the day received 46 more minutes of sleep a night on average than those who were not exposed to natural light in their workspaces. More natural light can improve one’s mood as well. Your workspace may be expansive, and natural light might not reach all parts of the building. This means that some employees in those darker areas might not be exposed to natural light. In a study done by Northwestern Medicine and the University of Illinois at Urbana-Champaign, they found that the best place to put workstations is within 20 to 25 feet of the peripheral walls that have the windows. Daylight seems to vanish outside of this 20 to 25 feet area. This is a simple natural light solution to expose employees to natural light through a reordering of your building’s interior design. 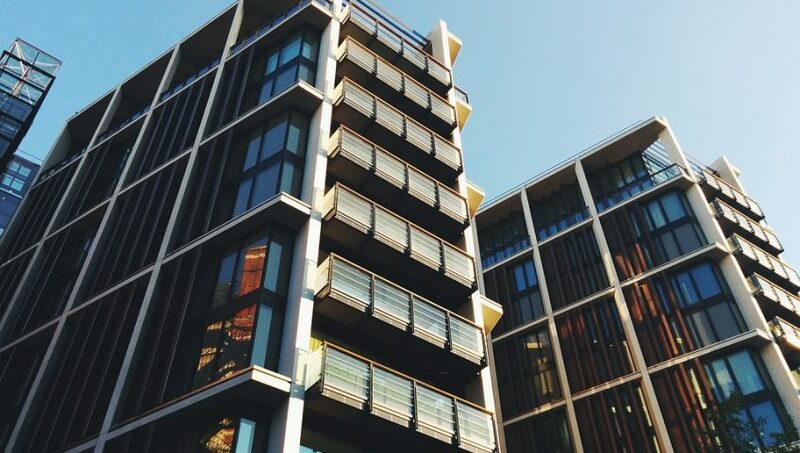 If your building is fitted with lots of windows, you might be concerned about having too much natural lighting. Issues like too much glare can hinder employee performance. Heat from natural light too can make the building uncomfortable and end up costing you more money. A solution to this problem is to make sure that your windows have proper glazing. 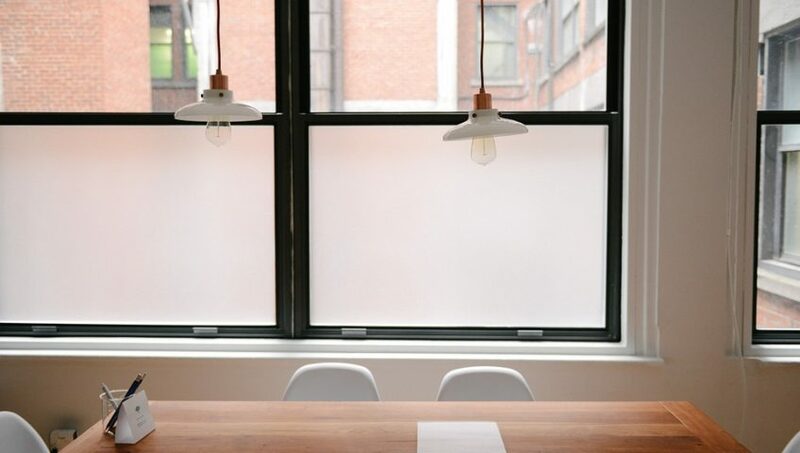 Windows and skylights with proper glazing can help reduce this glare while still providing enough natural light to boost employee performance. If your building has no windows and no source of natural light, there are still some solutions for this problem. Forbes found that a change in interior design can help create an essence of natural light in your building. However, having a proper artificial lighting system can also help make the building a little brighter and more cheerful. The goal is to choose the right type of lighting, which we are more than happy to help with. Encouraging your employees to go outside during breaks and getting some actual natural light throughout the day can also prove to be beneficial. LED lighting and energy saving lights can help you take advantage of natural light while also giving you the most cost-effective solution. Here at Kirby Electric, our goal is to save you money and energy while also protecting the environment. With a LED lighting design, we can take create an electrical system that is most beneficial to you. Bloomberg also found that installing blue lights can help boost your brain, especially during the sluggishness of the midday. We can help meet these particular needs of your employees and provide you with great natural light solutions. Kirby Electric provides a number of services that can help you choose the right type of lighting for your building while also taking advantage of natural lighting. From electrical design, engineering, and construction, we can help find natural light solutions that are most cost-effective for you. 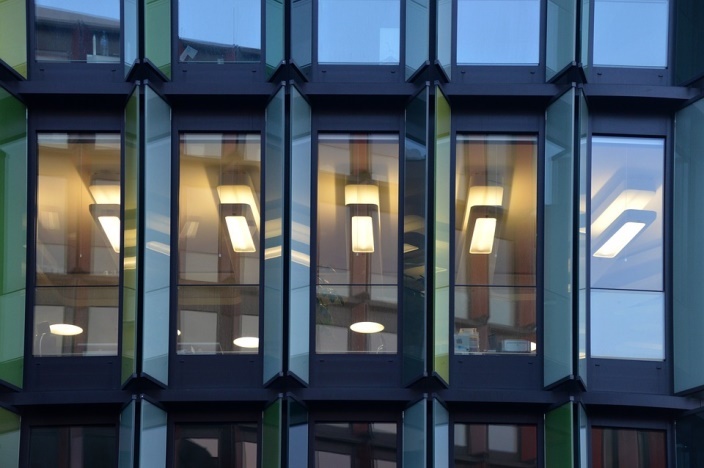 With technology such as LED lighting and daylight responsive sensors, there are many different artificial lighting solutions that can assist in boosting employee exposure to natural light while also keeping your building properly lit. Not taking advantage of natural light can be a costly decision, and we want to help make sure that your building saves energy and saves you money. As Seattle’s premier electric company, Kirby Electric specializes in commercial and industrial contracting. We offer electrical services that best fit your building’s needs and present energy management solutions. Such solutions provide economically and environmentally beneficial services. Contact us today and request a quote at (253) 859-2000 or online here to learn more about our services. With the spring temperature rising, keeping your office cool can be expensive. As your company works toward keeping itself cost-efficient this upcoming summer, try considering alternative ways to save energy. Here are four tips to save energy in commercial buildings this summer. Ventilation of commercial buildings can help to lower high energy costs and protect the environment. 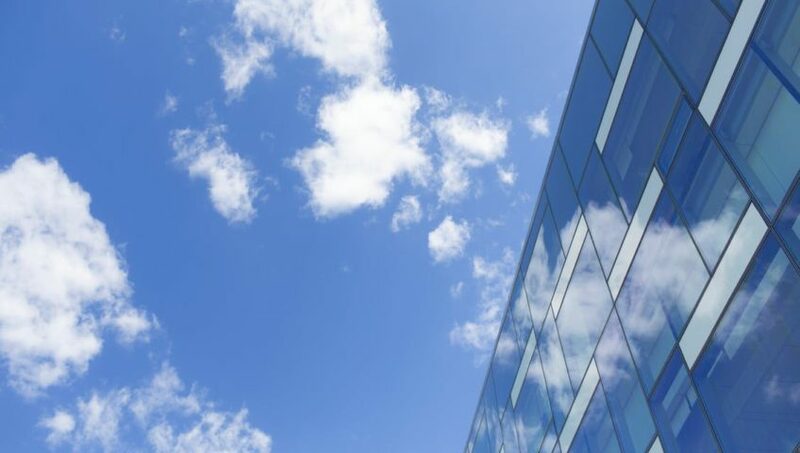 Natural ventilation, as discussed by the Construction Specifier, shows how businesses can make the most of their mechanical ventilation system while also lowering their energy bill. Such natural ventilation systems require little maintenance and can keep the building cool for employees during the warm summer months. LED lighting lasts longer and uses less wattage than other forms of lighting. The U.S. Department of Energy states that more commercial buildings are choosing LED lighting as their form of commercial lighting. They provide a more environmentally and economically friendly product. They found that LED lights can save about 75% more energy and last up to 25 times longer than other electrical lighting. LED lighting can help lower your company’s electrical bill and provide an alternative energy source. Motion sensitive lighting shows to be effective in saving energy as it automatically functions based on occupancy of the building. 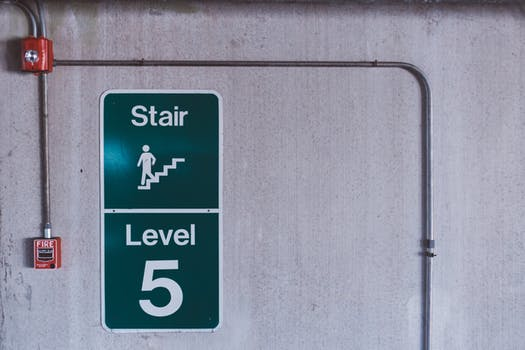 Boston’s Challenge for Sustainability emphasizes the inexpensive installation of motion sensors and that your overall savings percentage can increase. Motion sensitive lighting can help especially in areas of your building where there isn’t much activity or where lights can end up being left on. Benefits of switching to motion sensitive lights, according to Challenge for Sustainability, include energy savings that can reach around 75% and total savings that can be around 35% to 45%. Inadequate lighting or electrical problems in your commercial buildings can lead to increased electrical costs. Save energy by retrofitting your buildings. We can help install electrical bundles that best fit your building’s needs while also protecting the environment. Schedule your energy audit here to start the process of saving energy for the summer today. As Seattle’s premier electric company, Kirby Electric specializes in commercial and industrial contracting. We offer electrical services that best fit your building’s needs and present energy management solutions. Such solutions provide economically and environmentally beneficial services. Contact us today and request a quote at 253-859-2000 or online here to learn more about our services. Did you know Kirby Electric offers low voltage systems along with their other great electrical services? Kirby Electric is pleased to offer clients fire alarm design and installation, 24 hour UL Fire monitoring service, security, CCTV, and telecommunication cabling services in the commercial and industrial markets. Explore this blog to learn about our low voltage products that can benefit your building today. Installing low voltage fire alarm systems helps save lives, protect people, and minimize costly business assets from being destroyed. A fire alarm system is crucial to ensure safety of everyone on the premises, while minimizing property loss in the event of a fire. At Kirby Electric, our installation teams are trained and certified in addressable fire alarm systems, voice evacuation systems, UL Fire RF radio communications, Area of Rescue/Refuge Assistance Systems (AOR), and Emergency Responder Radio Communications Systems (ERRCS). We also work with local fire departments to help meet individual needs and codes of each community. Information is key and with a CCTV Video camera system recording the happenings around your business, you can have the information you need. Here are some of the CCTV solutions that Kirby Electric offers: Indoor/outdoor cameras, mini-dome cameras, night vision cameras, Pan/Tilt/Zoom cameras, Digital Video Recorders (DVR), Network Video Recorders (NVR), and flat panel monitors. To have a successful communications system, it is important to have reliable structured cabling. We offer innovative low voltage cabling solutions for commercial sites. Expect to receive proper installation of industry-leading products to ensure that everything is performing at its peak. Plus, we have worked with a variety of industries for our voice and data network cabling in the Seattle, Tacoma, and Bellevue areas such as healthcare, education, travel, tourism, and government institutions. Our voice and data network cabling teams will provide you with the best customer service and equipment available. We also strive to provide you with the most advanced state-of-the-art low voltage security systems in the industry today. Our security experts work with you to recognize the security needs of your business and provide you with customized solutions that are right for your business—nothing more, nothing less. No high-pressure sales pushing products you do not need. Which Qualifications Make For an Excellent Electrician? When it comes to being an electrician, there is more to the job than being certified. While certification is mandatory, an excellent electrician typically has all of the following qualities and characteristics that we look for when bringing on someone new. We understand a college degree is not necessary in order to become an electrician, but a high school diploma certainly is! At Kirby Electric we stress the importance of having a studious background and an ongoing willingness to learn and adapt. The following intellectual skills are what we look for in an excellent electrician. Basic Algebra – It is typical to encounter some form of algebra throughout day-to-day work activities as an electrician. If you are feeling unsure about your algebraic capabilities, enroll in your local community college to brush up on your skills. Reading & Writing Comprehension – Blueprints, documents, memos and more. All of these are part of your daily job as an electrician. What we care about is how well you can effectively communicate to others along with understanding written and verbal communication in return. Critical Thinking – Assessing a situation, critically thinking, and analyzing before acting can save you time and money. That is why on every jobsite this may be the most important skill to master. Smart decision making is why Kirby Electric is the best in the Greater Puget Sound region. An excellent electrician can manage his time wisely. This is a skill often learned not taught, but an important one to say the least. We care about our customers, and consider their time just as valuable as ours. When we set a date of completion, we mean it. When joining Kirby Electric, you are joining a team of highly trained and skilled professionals. An excellent electrician has the ability to seamlessly integrate their work style with others. Along with a team-oriented mindset, comes great communication and listening skills as well. Nothing wows our customers more than our excellent customer service. Our dedicated and knowledgeable team of electricians is led by senior leadership whose core philosophy is focused on consistently delivering exceptional customer service. Did you know Kirby Electric is currently hiring? If you are looking for a vibrant work environment that offers career growth and full benefits, including paid vacation, a 401K plan, health benefits and paid holidays, consider a future with Kirby Electric. Our open positions can be found here. 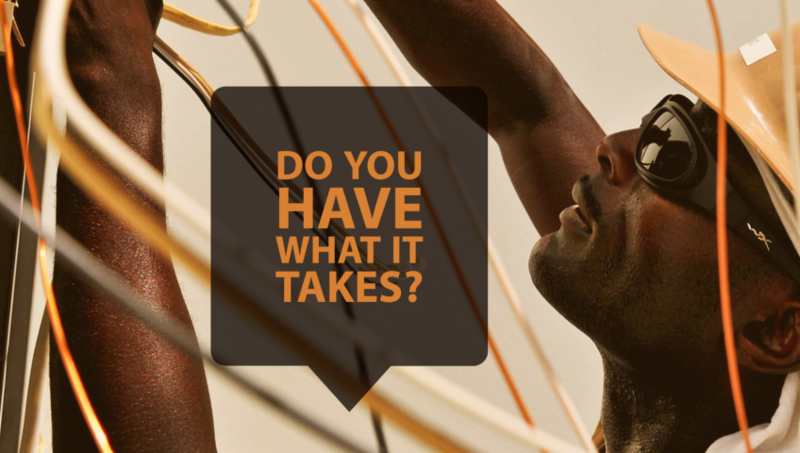 Do you think you have what it takes to be an excellent electrician or employee with Kirby? Apply here. Kirby Electric is a premier electrical contractor specializing in commercial and industrial electrical construction. With over 20 years of experience serving the Greater Puget Sound area and Western Washington, we have acquired a solid, loyal growing customer base. Help us grow even more! Learn more about our services here. Have questions? Contact us online or by calling 253-859-2000. We look forward to hearing from you. It is no secret that energy bills for commercial buildings can run rather high. Moreover, businesses may find it rather difficult to find efficient solutions to reduce them. According to the American Council for an Energy-Efficient Economy, 20% of the energy consumed nationwide is from commercial buildings. Explore our blog for the top 4 energy saving solutions to help your commercial building reduce energy bills today. One of the easiest and economical ways to reduce energy bills is installing energy efficient lighting solutions. LED technologies continue to improve and advance, which makes energy solutions vaster than ever before. Options include re-lamping, retrofitting, incorporating replacement products, and more for commercial buildings to accomplish substantial savings through efficient lighting. Shifting energy usage habits will provide great results. Meaning, reducing top demand with more energy efficient lighting, pumps and vital strategic solutions will aide in energy bill savings. The lower the top demand and/or capacity, the less you pay for power. In order to figure out how a commercial building consumes energy, it is imperative to understand the power usage patterns. Understanding where and how energy is consumed can result in reduced energy costs and consumption overall. Nowadays, one top trend for businesses is to meet sustainability initiatives. For example, implementing wind technology or solar panels are great technologies that reduce energy usage and will help businesses become less dependent on utility companies. For inside, LED light bulbs (light emitting diode) for lamps and other utilities that require light bulbs are beneficial for energy efficiency as well. In comparison, incandescent bulbs cost approximately 5-10 times the initial price of the bulb alone. 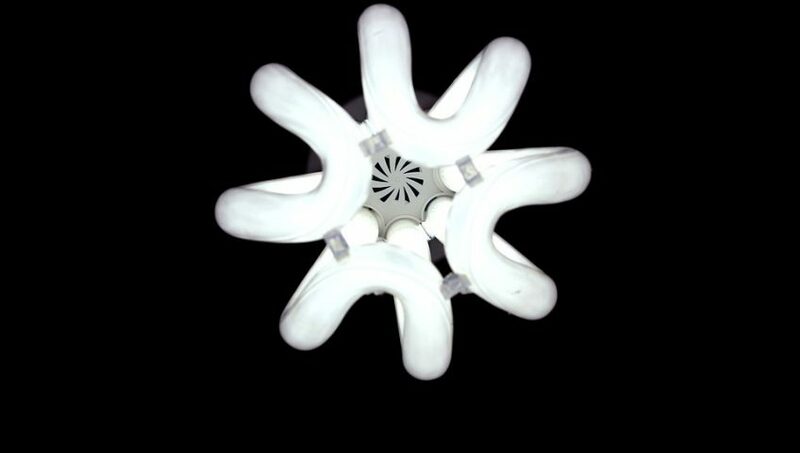 LED light bulbs will last up to 10 times as long as compact fluorescents and the cost of the bulbs. Overall, smart energy products are efficient ones. Kirby Electric, Inc. is a premier electrical contractor specializing in commercial and industrial electrical construction. Our dedicated and knowledgeable team of electricians, low voltage technicians and office staff are led by senior leadership whose core philosophy is consistently delivering exceptional service. Kirby Electric offers a wide array of services to meet the needs of our customers and ensure a smooth operation of their facilities. Learn more about our services by calling 253-859-2000. In recent years, there has been advanced improvements in lighting technology for light-emitting diode (LED) bulbs. Known for energy-efficiency, LED bulbs continue to excel in durability and lighting quality. According to energy.gov, LED lighting has the greatest potential impact on energy savings and the future of lighting in the United States. Explore this blog to get all the information you need to know about LED lighting and how it can benefit your home. Did you know that residential LEDs use approximately 75% less energy and last 25 times longer than incandescent lighting? Plus, by selecting a quality LED bulb, they can last beyond 25,000 hours, which is equivalent to over three years if used the entire 24 hours each day! Moreover, regular light bulbs discharge 90 percent its energy as heat, while LED bulbs retain heat and use energy more efficiently. Starting in 2012, relatively $675 million dollars was saved when approximately 49 million LEDs were equipped in the U.S. Shifting to LED lights altogether for the next 20 years could save the U.S. $250 billion in energy costs and can also positively impact the environment by evading 1,800 million metric tons of carbon emissions! Light source: Compared to other light bulbs (such as incandescent and CFL’s), the LED light source size is miniscule compared to the size of a pepper fleck. Also, the light source colors are combined with red, blue and green to produce a white light. Direction: LEDs also radiate light in a certain direction, which lessens the need for diffusers and reflectors that are used to trap light. Also, this component helps with efficiency for a variety of uses (such as recessed downlights or task lighting). LEDs are also excellent for kitchens, countertops and reading recipes. Essentially, the color can appear more “cool”, which is typically preferable for kitchen areas. It is important to understand that there could possibly be “shadowing” in your selected space and also always check and compare which products will best fit your preferences. Recessed downlights are regularly used in a variety of spaces such as bathrooms, hallways, offices, kitchens, and beyond. According to energy.gov, DOE has estimated that there is about 500 million recessed downlights in U.S. homes that have already been installed and over 20 million are sold every year. Not to mention, CFL and LED technology is able to reduce downlight wattage by 75% or more. Visit energy.gov/energysaver/led-lighting for more information regarding LED technology and the additional benefits for your home. Incorporate Green Lighting With Lighting Retrofits! Did you know lighting accounts for more than 25% of energy used in most buildings? Together we can change this. Try making a difference this Earth Day and go green. Get your lighting package upgraded with Kirby Electric’s lighting retrofits. Check out how you can make a difference and what is in it for you. As an employer, safety should be a top priority. Poorly lit warehouses can not only be dangerous, but extremely uninviting and unpleasant to work in. Create a more enjoyable and safer atmosphere with a new lighting package supplied and installed by us for you. Plus, well-lit workspaces keep your employees energized throughout the day, potentially increasing productivity! Cut costs potentially in half with more efficient warehouse lighting! With over 20 years of experience, we have been on the front end of offering customers the most effective green lighting solutions for their buildings. By opting-in for a greener lighting retrofit, you can save money every time you switch on the lights. When you install green lighting, it can result in to rebates for your office building or warehouse. We work in concert with the utility companies to provide lighting rebates back to you for implementing upgrades to your lighting. Seeking a unique look and feel for your office space? We offer experienced administration, estimators, a design specialist and project managers that work with general contractors and owners to present a comprehensive green lighting design with competitive pricing. Do your part. Give back to the planet by cutting down on energy consumption in your warehouse or office building. Some of our projects have reduced energy consumption by over 50 percent! Remember, resources are limited. 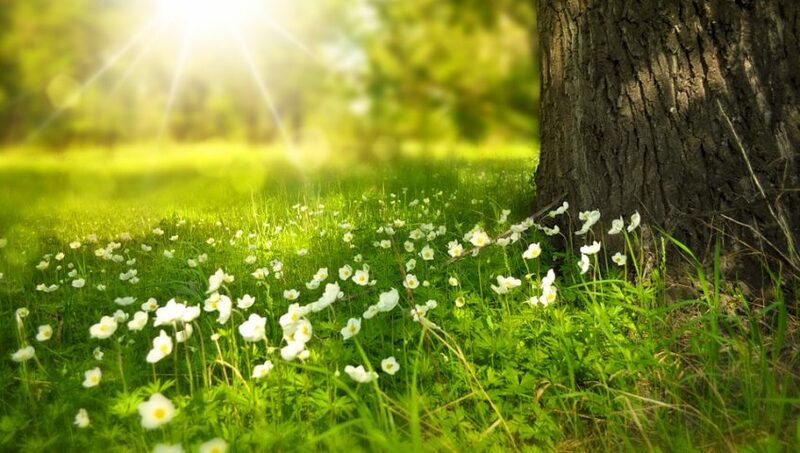 This Earth Day, discover your options for green lighting with Kirby Electric. Kirby Electric, Inc. is a premier electrical contractor specializing in commercial and industrial electrical construction. Our dedicated and knowledgeable team of electricians, low voltage technicians and office staff are led by senior leadership whose core philosophy is consistently delivering exceptional service. Kirby Electric offers a wide array of services to meet the needs of our customers and ensure a smooth operation of their facilities. Learn more about our services by calling 253-859-2000 or contacting us online. Did you know the average commercial building wastes 30 percent of the energy it consumes? Additionally, $200 billion is spent annually on electricity and natural gas for commercial buildings, which contributes to nearly half of our nation’s greenhouse gas emissions. As startling as that reality is, there’s plenty of ways to save energy. 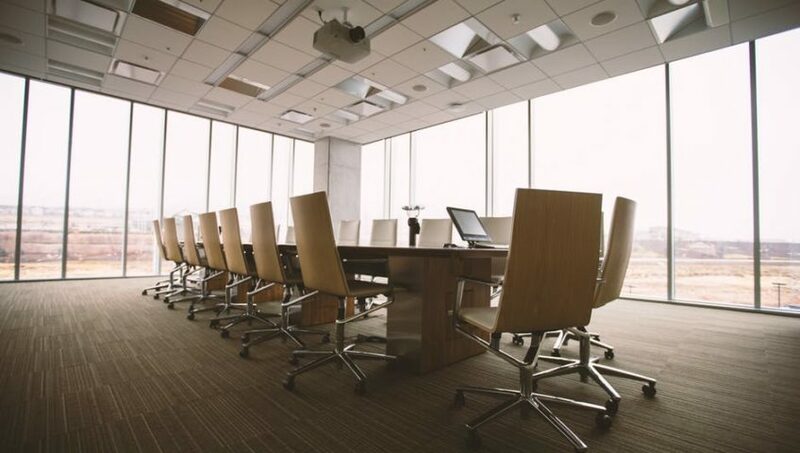 Read on to check out some low cost improvements that can be made for reducing energy consumption in your office or commercial building. For a commercial building, it is likely a large portion of excess energy is being wasted at night. This is why an energy audit conducted after hours could help determine which sources of waste could be minimized or all together eliminated. Each month, make a habit of checking and maintaining the cooling and heating equipment used in the commercial facility. This will help make sure everything is working correctly and efficiently. Are lights turned off when they should be? It’s estimated that lighting consumes 25 to 30 percent of energy in commercial buildings. Depending on the space, free natural lighting from windows can even suffice over traditional lights. Not to mention, it’s free! Keeping lights off when not in use can not only reduce energy consumption, but it can also lower lighting expenses by 10 to 40 percent. Each office computer is equipped with a power management function. This should be enabled on each monitor so that it instantly goes to sleep when not in use. Additionally, all sleep functions should be enabled on printers, fax machines, copiers, scanners, and other various devices. Even when equipment is in standby or sleep mode, it still eats energy. For example, one building found that eight percent of their annual electric bill was allocated to their standby power alone. Luckily, there’s an easy fix to this, unplug what’s not in use! Talk with your office’s IT department or your office manager about whether unplugging certain products at night is a viable solution to saving money and energy. Set the thermostat to a lower temperature when the commercial building is not occupied. Have you checked the filters? They can help reduce energy usage by changing them out monthly. Also, make sure your vents are completely unblocked. As much as 25 percent more energy is required for air distribution when vents are blocked by furniture. There is no more affordable way to limit energy consumption, than basic energy education! Make it known how much energy is being wasted when certain actions occur. Plus, prospective employees want to work for an environmentally conscientious company. Did you know you can lower your business’s energy bills without engaging in a substantial investment? Puget Sound Energy offers commercial energy management programs that can be tailored to fit your building’s needs. The programs help identify problem areas, and provide suggestions along with incentives that can cover some or all of your implementation costs. Workplace power outages happen. Are you aware of an emergency plan at your work in case of a major power outage? According to the American Red Cross, around 40 percent of small businesses do not reopen after major disasters occur due to insufficient preparation or lack of a proper backup system. In contrast, having an adequate plan arranged ahead of time will ultimately help eliminate the difficulties of doing business during a power outage. To make sure your business and employees are safe and prepared, here are 4 quick tips to keep in mind if the power goes out at work. At times, workplace power outages may require the business to close down for the day because work is unable to be completed or continued. It is imperative for staff to post a sign on the front door that allows customers and employees (who have not arrived yet) understand why the business is closed during regular business hours. One essential item you must have is a flashlight. Make sure there is one stored in the office and the stock room at all times. Also, having backup flashlights is an additional light source that will help you recognize which switches you need to flip to potentially bring the power back on. During workplace power outage, flashlights can bring security for workers and less panic as everyone can function and navigate around the room. Most importantly, don’t forget to have additional batteries in store just for convenience! Some businesses may encounter security risks during power outages. If you have security cameras or any electric powered protection devices, you may want to be cautious and contact local authorities to make sure your business and fellow employees are safe. You never know how long the electricity could be out of service. Make sure you act accordingly! You never know how long a power outage will last. For safety’s sake, stock-up on extra food and water for employees and/or customers. Authorities may require you to stay inside your business for security or safety reasons during a workplace power outage, so always prepare for the worst and hope for the best.